The Panama Papers Show The World That Corruption Isn't Just An 'African Problem' : Goats and Soda Why Africans are breathing a quiet sigh of relief in the wake of the scandal. And one man's dream of what he would do with $2 billion. It involves cocoa. 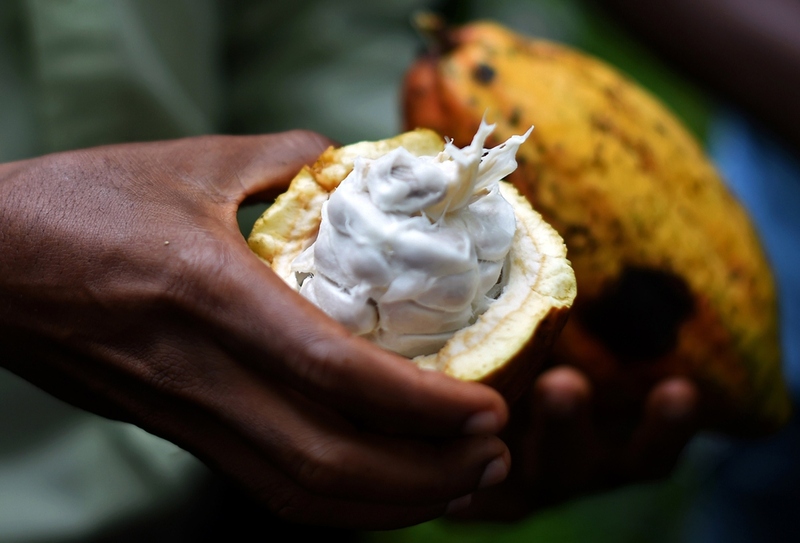 If Carl Manlan had $2 billion, he'd invest in building a cocoa plant in Ghana to create jobs. Africa's not the only corrupt continent. That message is the silver lining for Africans in the Panama Papers scandal — a collection of documents linking 143 politicians (and their family members and cronies) to outrageous sums of stolen cash hidden in a topsy-turvy network of offshore bank accounts and shell companies. Yes, Africans are named in the the Panama Papers. Some 18 public officials, ranging from the former president of Sudan, Ahmed Ali al-Mirghani, to the son of former U.N. secretary general Kofi Annan have been linked to the scandal. It sounds like more bad news for a region that's often characterized as incredibly corrupt. But there was plenty of others who were named in the Papers, from British Prime Minister David Cameron's late father to Argentine soccer star Lionel Messi. Economist Carl Manlan is the executive secretary at the Africa Against Ebola Solidarity Trust. He was named a 2016 Aspen Institute New Voices Fellow. 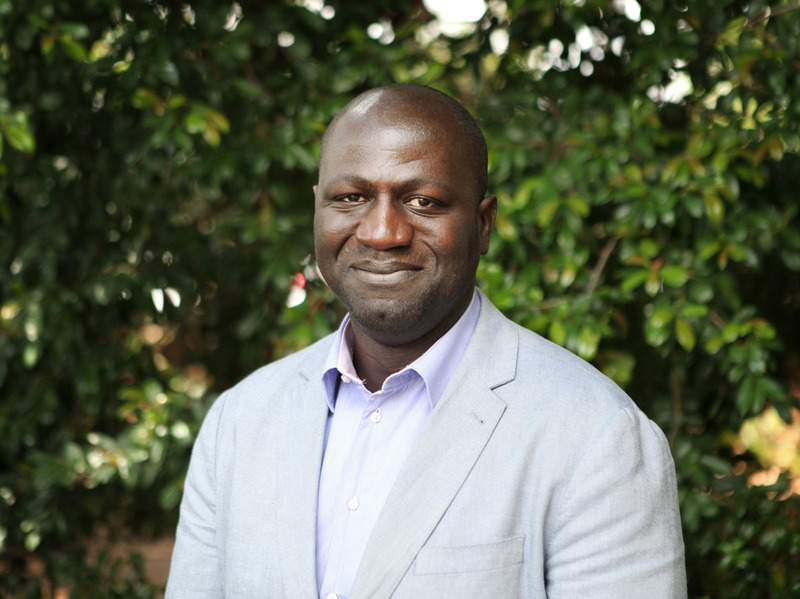 So Carl Manlan, an executive secretary at the Africa Against Ebola Solidarity Trust who's from the Ivory Coast, says there's a quiet sigh of relief among Africans: "Now there's evidence that corruption is an international problem, not just an African problem." Manlan, whose job is to drum up financial resources from African countries for global health programs, spoke to Goats and Soda from Johannesburg, South Africa, about the impact of the Panama Papers — and what he'd do if he had access to some of the stolen money. This interview has been edited for length and clarity. It's funny how the world seems to almost delight in pointing out corruption in Africa. But the Panama Papers show that this is a problem everywhere. It's shifted the conversation. We can no longer perceive that corruption is just an African problem or blame one continent or one group of people for being responsible. It's not just people in the public office [who are guilty of corruption] — we're looking at private individuals and corporations, too. Have the Papers changed the way Africans view corruption? People expected that some individuals in the public office would take money away from the system. But the Panama Papers show us we need to look at hard data [to find out who's actually taking the money]. What good would data do? Africans are probably more affected [by corruption] given the need for resources to finance transformation. [Data would help us] ask our government more questions. People are becoming more aware of the impact of corruption and how much it actually costs Africa. For example, illicit financial flows [illegal movements of money from one country to the other] costs Africa approximately $50 billion [double the amount of development aid that Africa receives]. The Panama Papers revealed that a company in Uganda avoided $400 million in taxes in an oil deal. That represents more than the country's annual health budget. Does that upset citizens? What does $400 million mean in someone's daily life when they cannot even get $2 a day? People don't understand what it means that $400 million disappeared. We need to translate those numbers to the common man. How many people would have been treated for HIV? The treatment is about $100 a year, per person. For $400 million, that's a lot of people you can put on treatment. Any examples of countries trying to help the "common man" understand their budgets? Most countries are trying, driven by civil society, to present their [national] budgets in a way that makes it easy for people to understand. South Africa has the People's Guide to the Budget, which shows, at the government level, a willingness to assure that each individual can understand how tax money is being spent. What do you think rich people do with all that cash? It seems like they're only ever spending it on real estate in London or New York. Maybe one day when I have that kind of money I'll be able to answer your question. OK, let's pretend you have the money. If you had $2 billion today, what would you do with it? I would go to Ghana and build a plant to transform cocoa into all the different finished products that we have today, like cocoa butter. If we can employ Ivorians and Ghanaians [the world's leading producers of cocoa beans] in that industry, then we can talk about the future for the continent. But as long as we're not creating jobs, based on the natural resources we have, it's a waste.